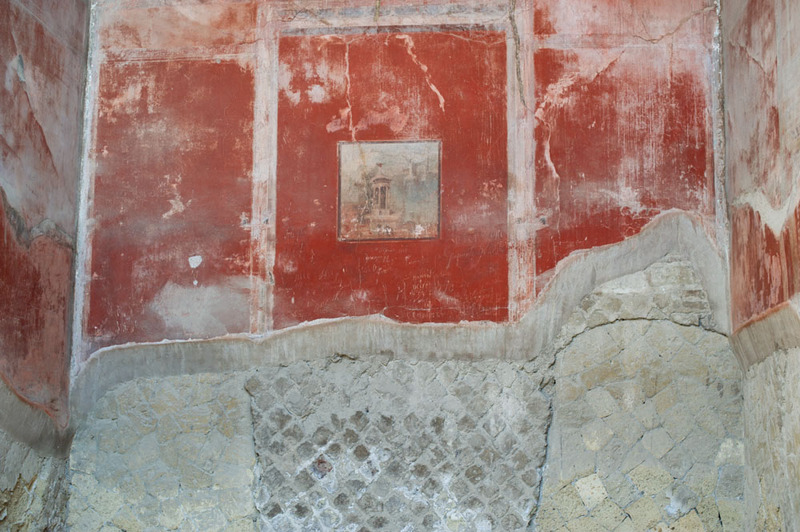 It was on the afternoon of August 24th 79 AD when an enormus eruption of Vesuvius buried several cities including Herculaneum for centuries until the first major excavation in 1738. 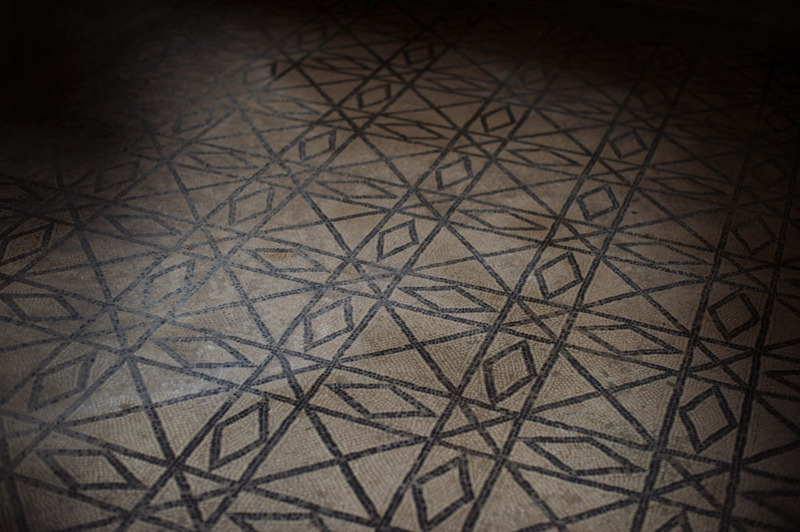 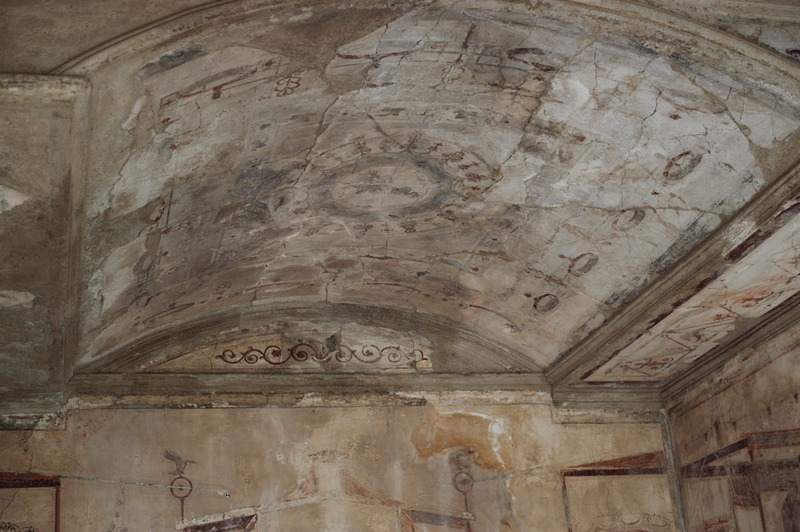 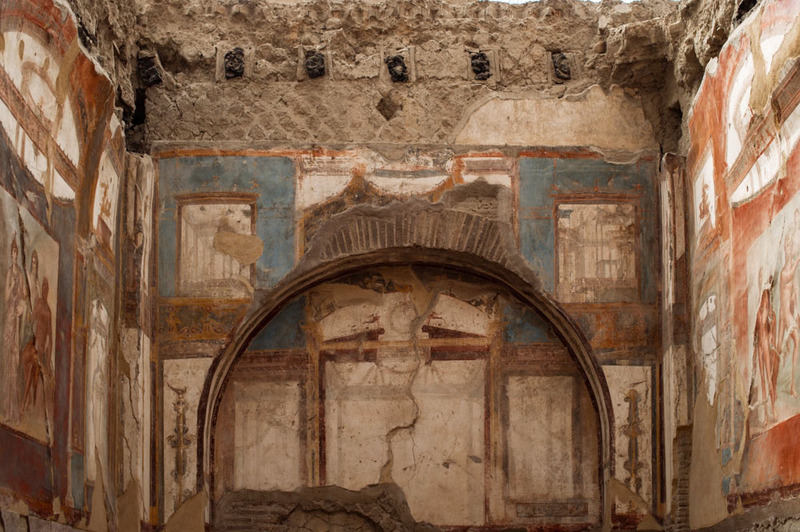 The diggins and findings in (modern) Ercolaneo and Pompeii initialized the Neoclassicism in Europe – motifs from the roman sites began to appear on furniture, wall paintings and teacups. 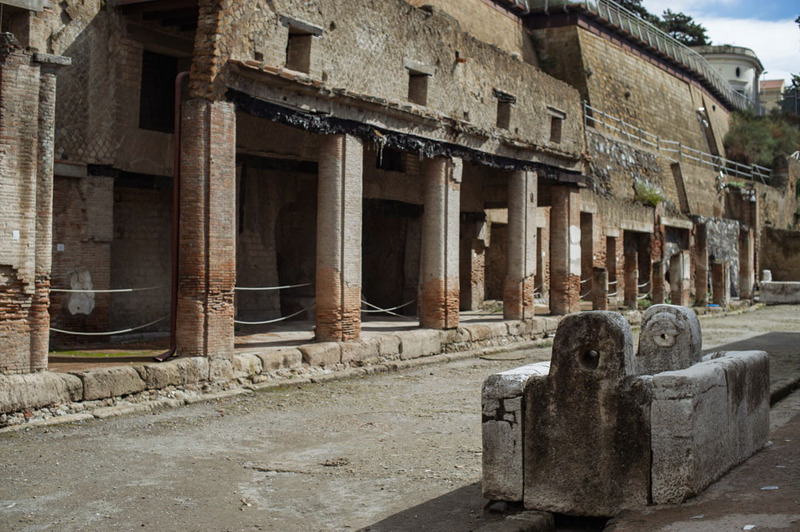 Naples and the area around Vesuvius were put on the map of the european traveller and became part of the “Grand Tour”. 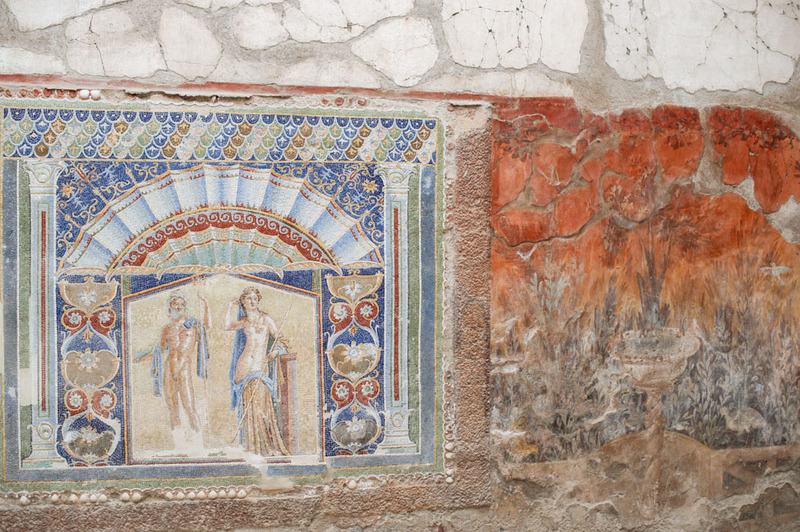 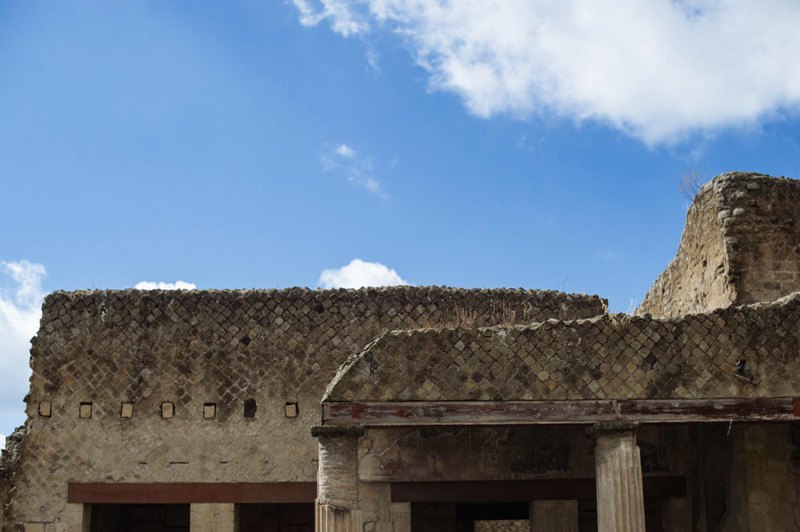 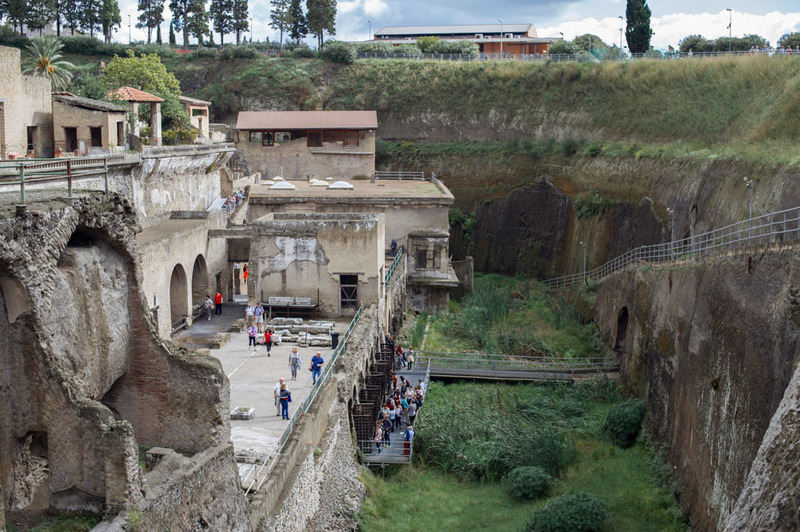 Herculaneum was probably of greek origin dedicated to the greek god Hercules and was used as a trading post. 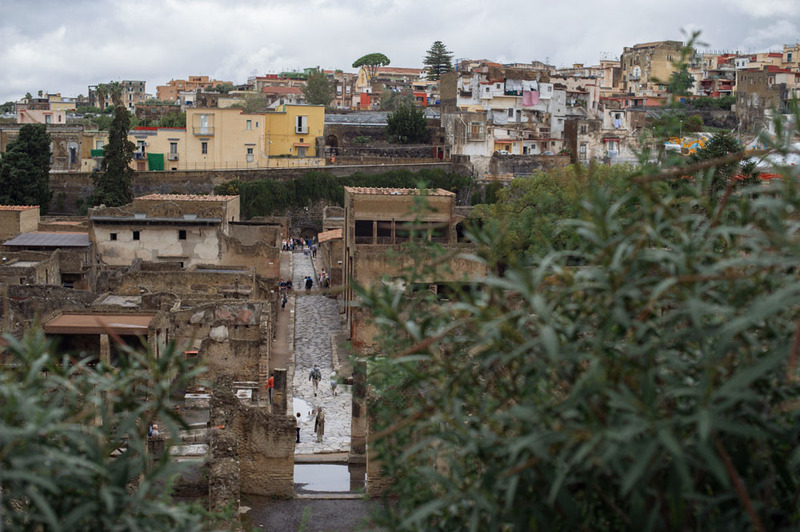 In 89 BC the town became a Roman municipium (town) until being buried under 20 metres of ash on that August afternoon in 79 AD. 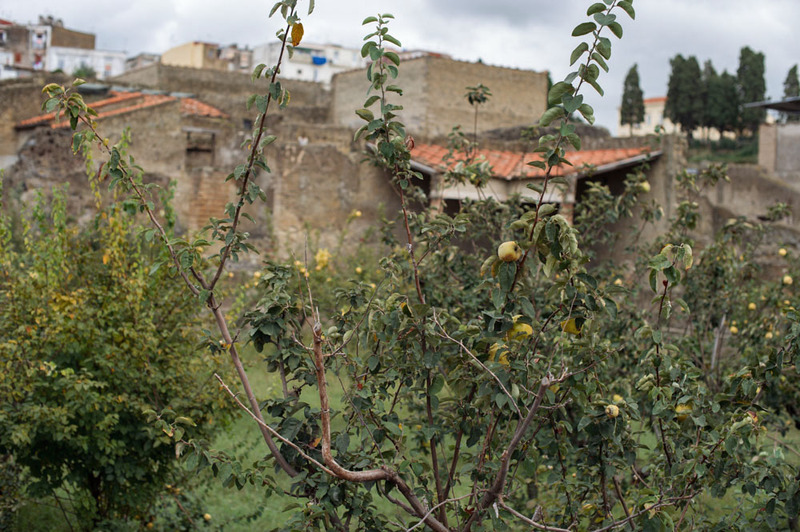 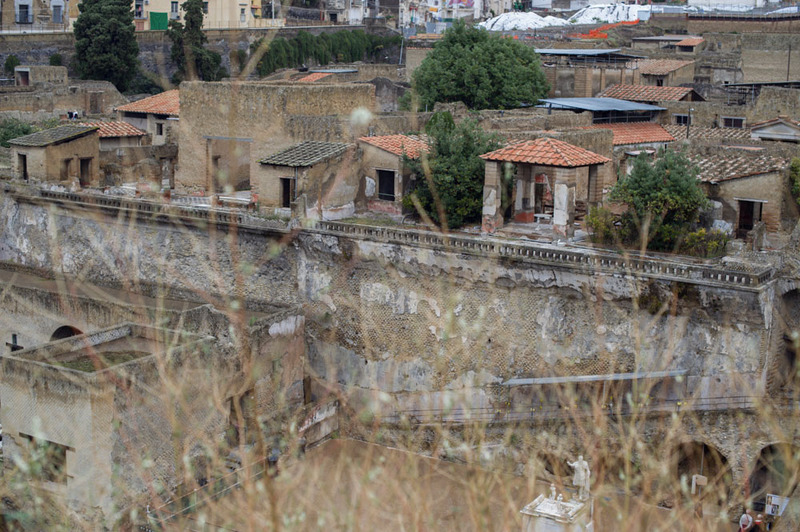 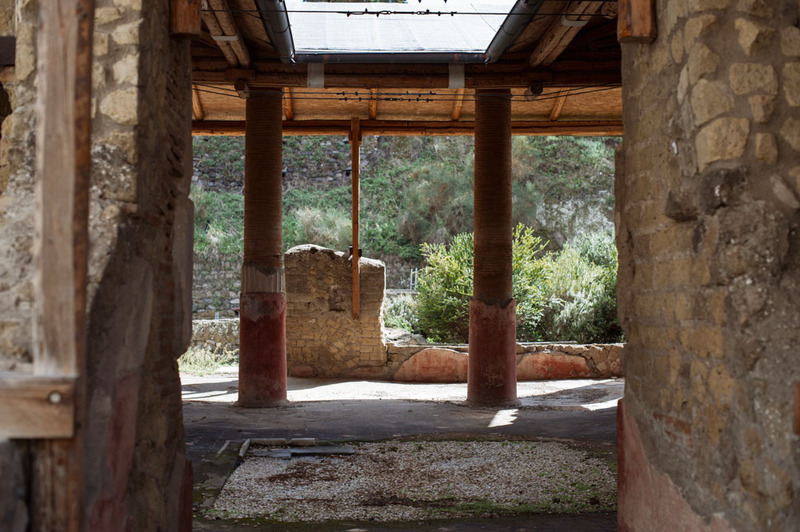 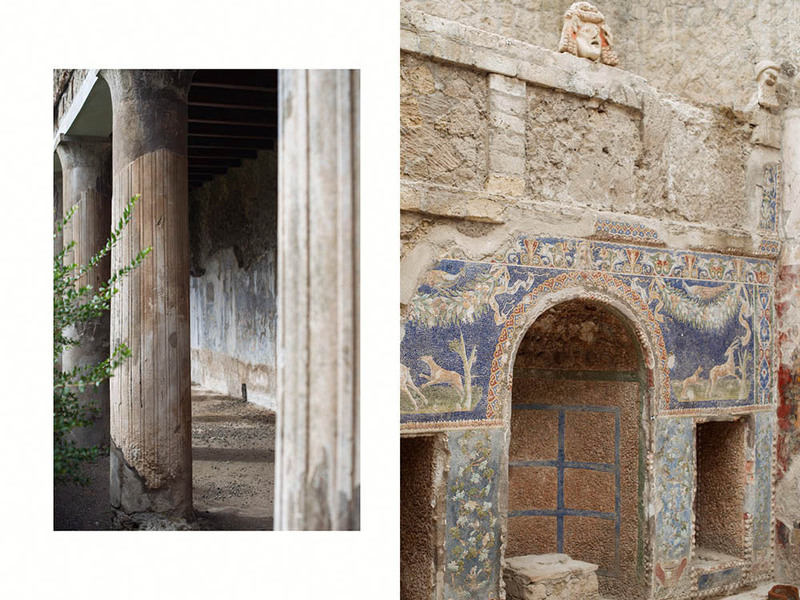 About 75% of Herculaneum are still buried today. 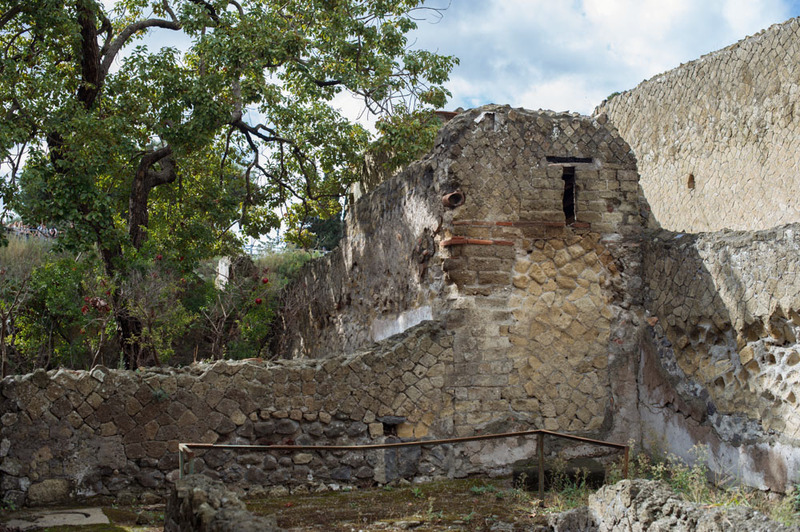 Until the discovery of about 300 skeletons in the boathouses (picture above) it was believed almost all citizens had managed to escape into the sea. 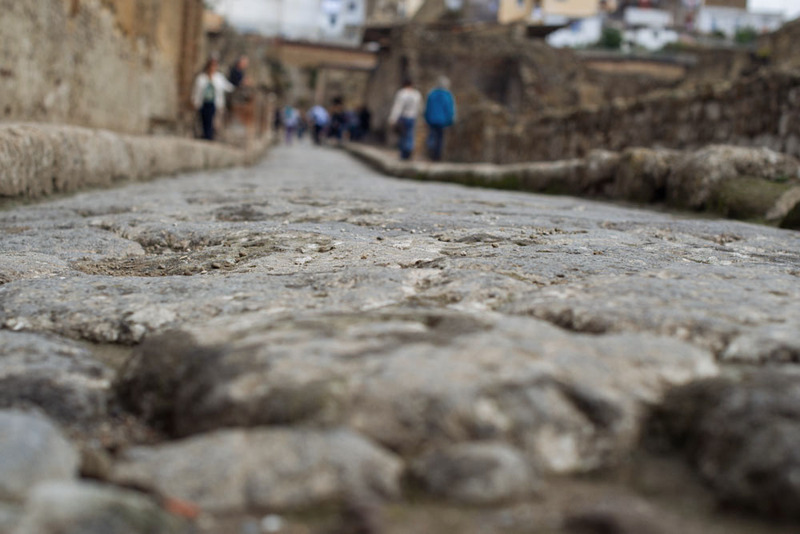 Take a walk on the old roman streets and dive into another time – there weren´t that many visitors and it almost became easy to image how life must have been 2000 years ago.